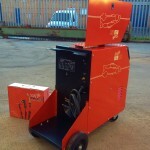 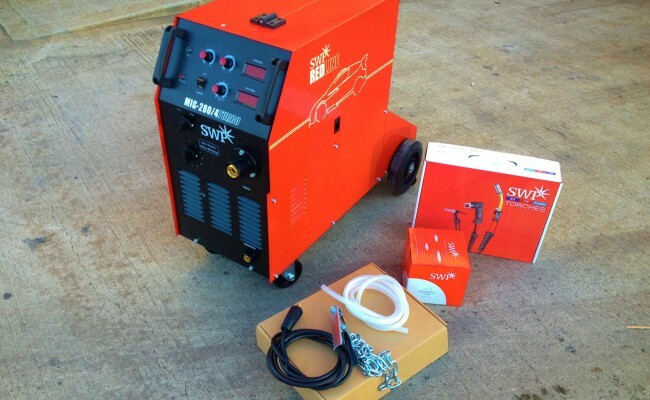 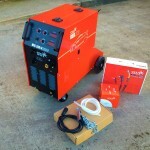 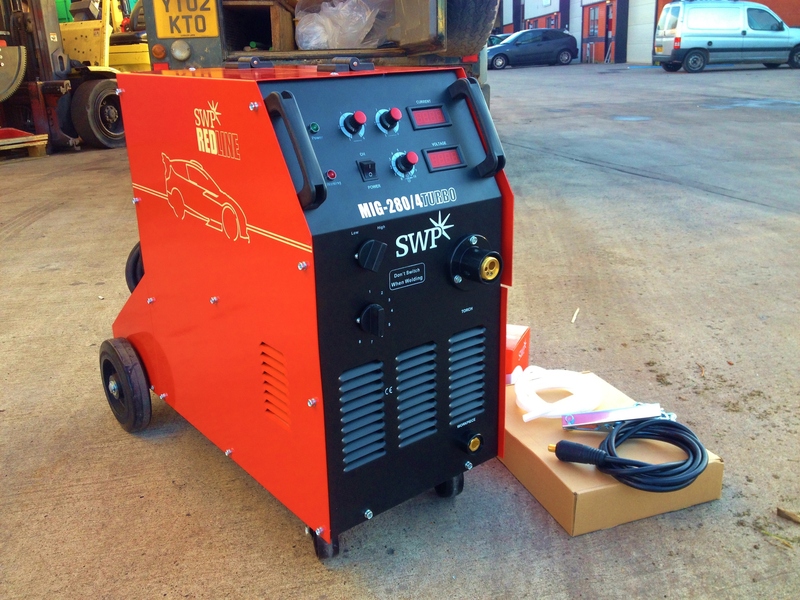 The SWP Turbo MIG 280 is our favourite 240V MIG welding machine that we sell, out of all the makes and models we supply. 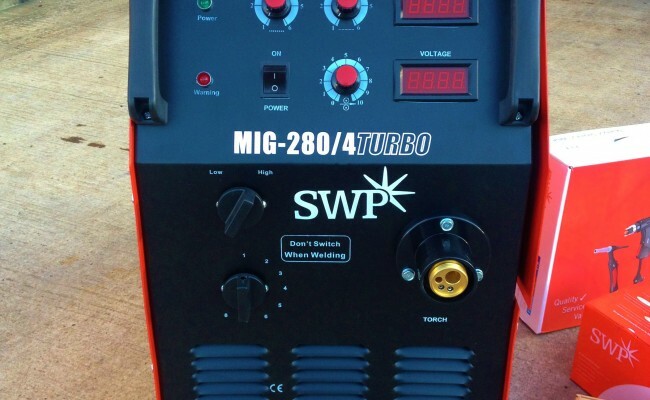 Out of all the makes and models we have never had one of the 240V Turbo MIG 280 machines come back or break. 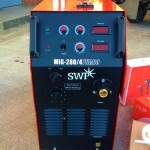 It is a brilliant welder. 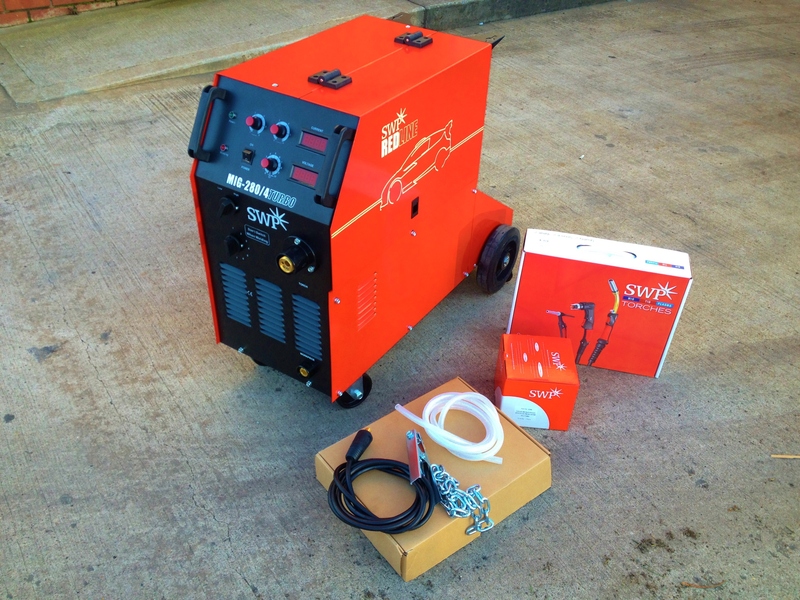 It is also capable of nearly 300amps and sold complete as a package with an MB25 MIG torch, earth lead, argon hose and argon regulator. 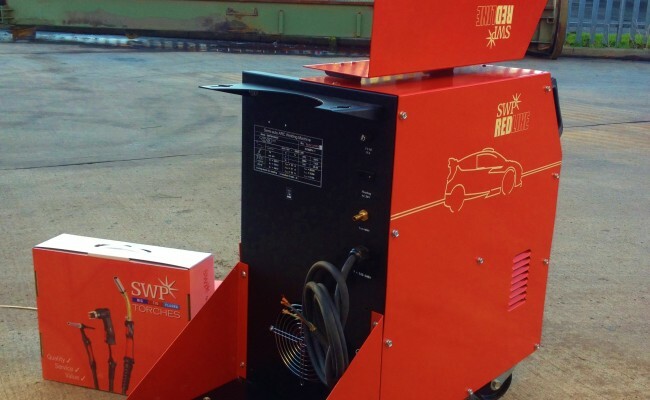 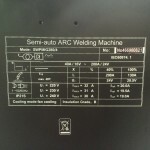 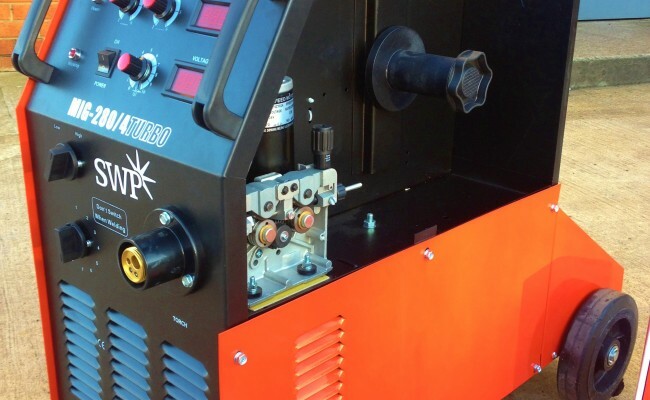 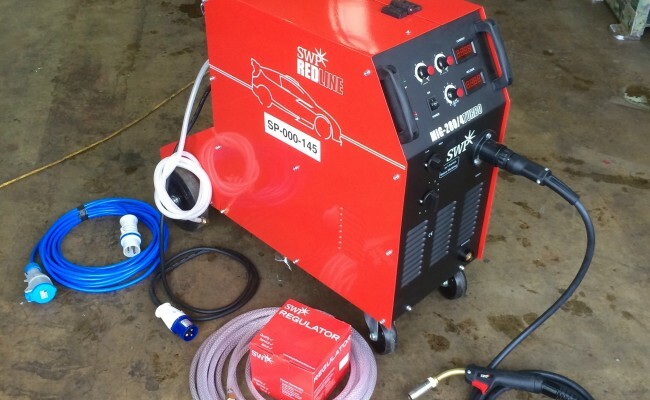 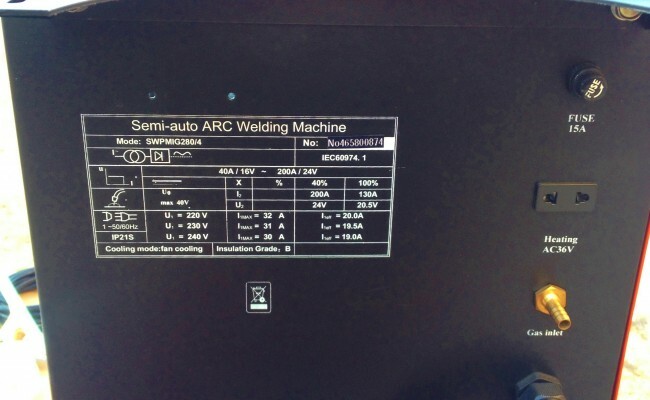 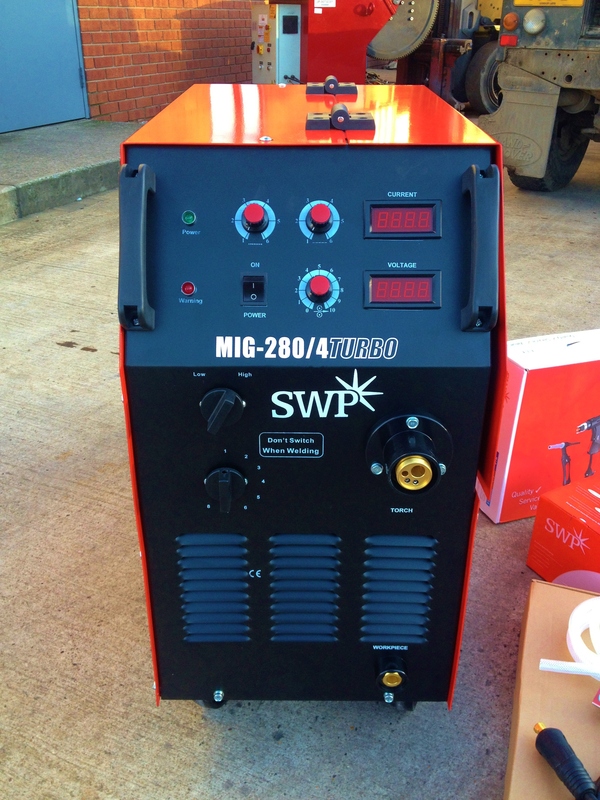 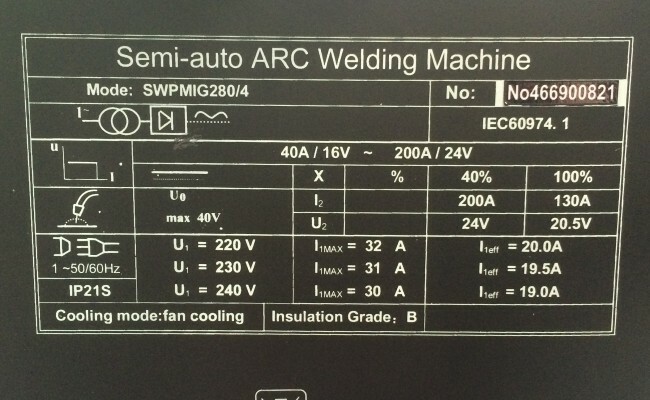 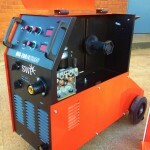 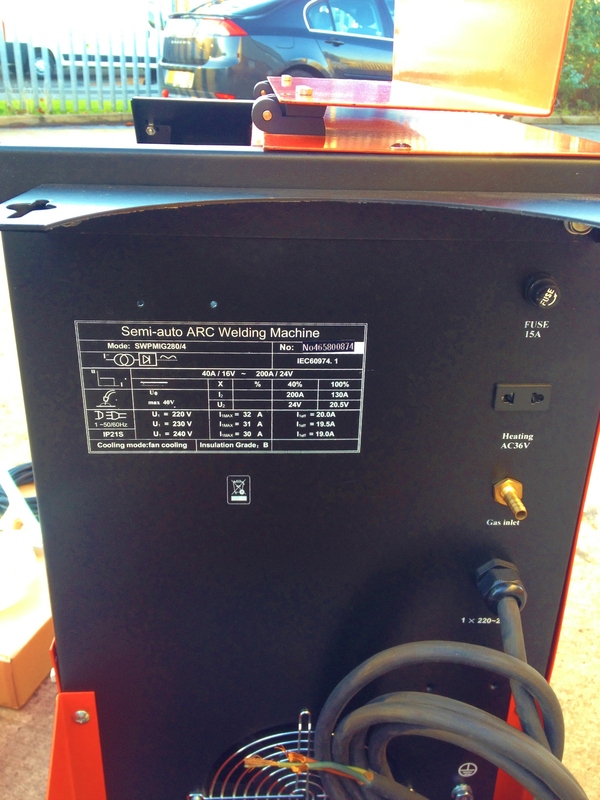 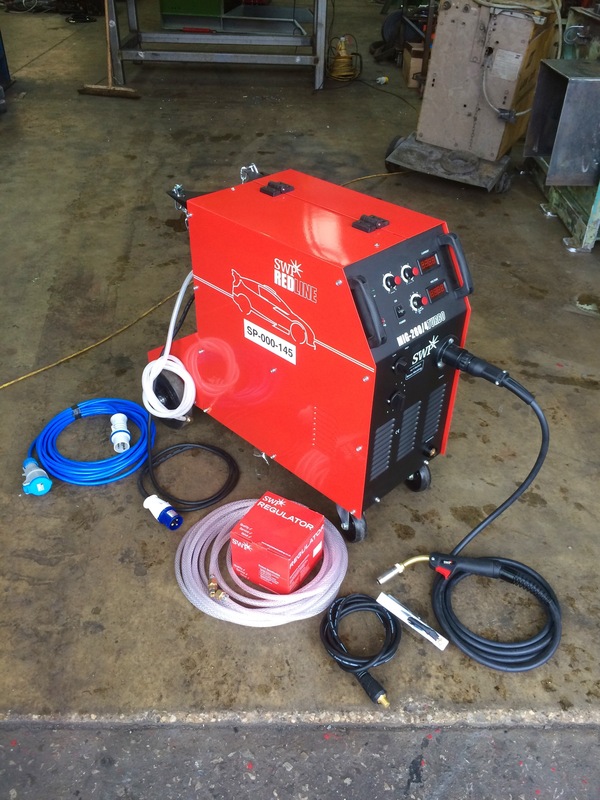 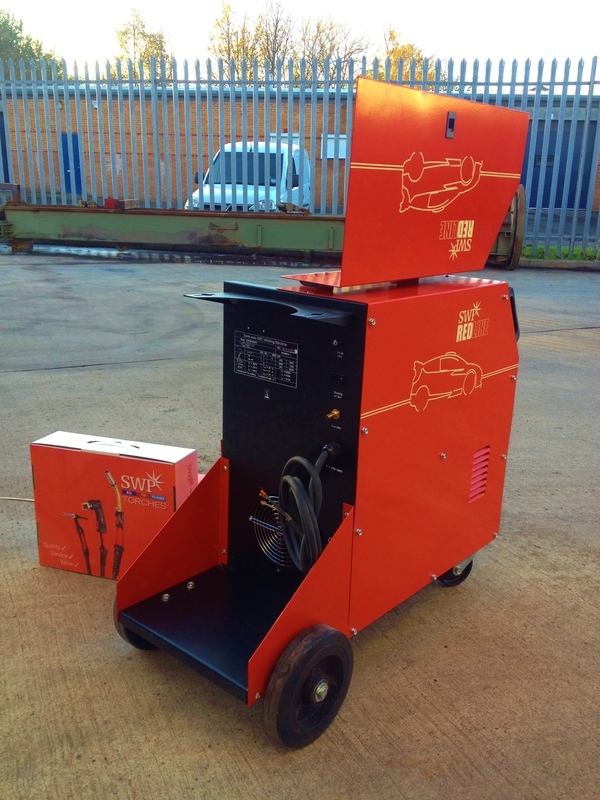 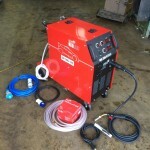 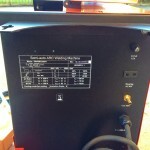 The reason we sell a lot of the SWP MIG-280/4Turbo MIG welders and highly recommend this machine is because of it's build quality, light weight design, compact and integrated 4 drive roll wire feeder, loads of power to boot on a 13 or 16amp plug (preferably 16amp blue 240V), and the affordable price which is sometimes half the cost of exact equivalent high end makes and manufacturers. 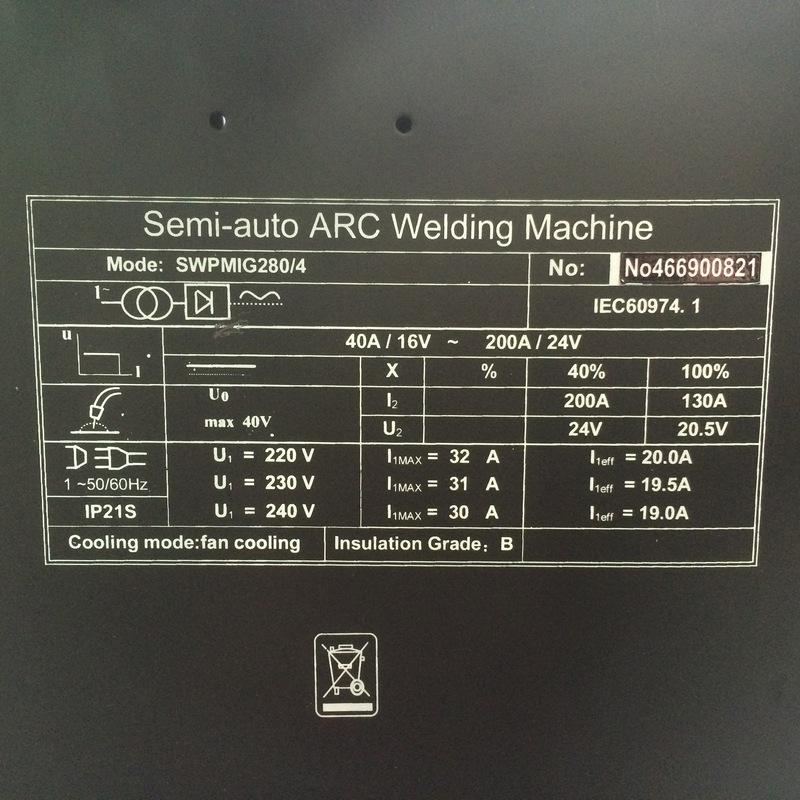 We have weld tested it on up to 1" thick plate but as we always say NEVER weld at full power for long durations as the duty cycle is not intended for it. 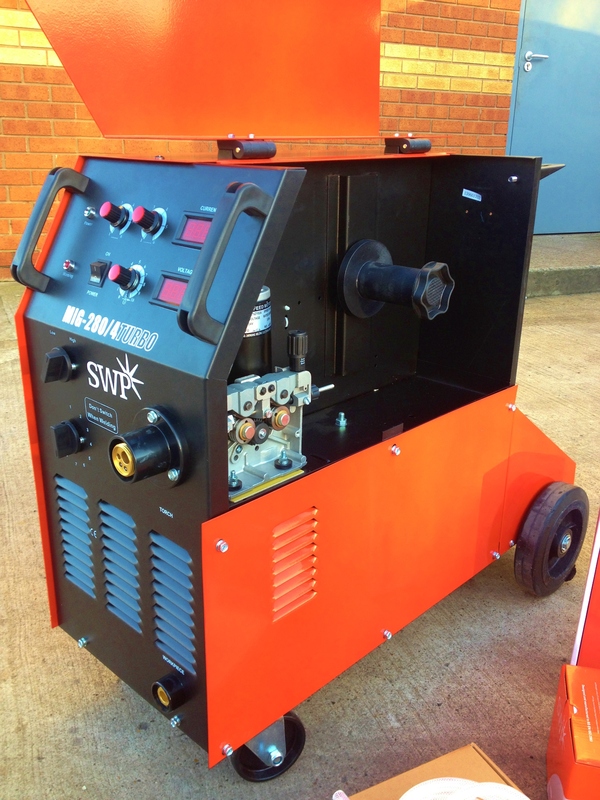 We say this machine is for up to 10mm MAX. 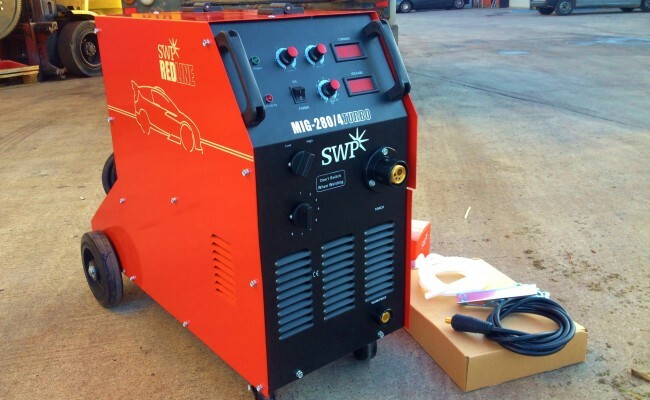 If you don't need the power and heavy duty cycle then go for it's smaller and cheaper little bother version the Redline MIG 210 Turbo which is also an outstanding seller. 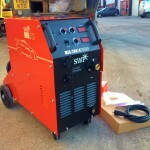 SWP also offer a 12 month guarantee, so any problems and we'll send it straight back to the factory for a replacement.